Inbound marketing focuses on producing relevant, audience captivating, high quality content that attracts consumers towards the online presence of a specific organization, brand or product. 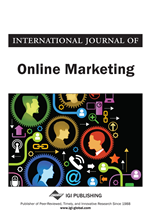 This study has been conducted using the online marketing research technique called netnography – a qualitative and interpretive methodology for the study of users in the virtual space. As the virtual medium presents a good medium for organization-consumer, bi-directional dialogue, companies can use the online arena for soliciting consumer views for their products, promotion mechanisms etc., hence, making these ideal tools to enable consumer participation in the co-creation strategies of organizations. Co-creation involves the consumers' participation in the creation of the core offering itself. It can occur through shared inventiveness, co-design or shared production of related goods, and can occur with customers and any other partners in the value network (R. Bolton, & S. Saxena-Iyer, 2009). Co-creation occurs when the customer participates through spontaneous, discretionary behaviors that uniquely customize the service experience (beyond the selection of pre-determined options). This was done by exploratory research on consumers' behavior in the online community “My Starbucks Idea”, with respect to updates and responses from Starbucks and their behavior with respect to feedback and suggestions from consumers. Ideas include fresh ideas given by other consumers to Starbucks through posts and the ideas which have been implemented recently in the stores that are updated by Starbucks' employees. Starbucks behavior was seen in terms of the ratio of volume of suggestion posts by consumers and volume of ideas adopted by Starbucks. “My Starbucks Idea” involves the psychological aspects of consumer behavior which are utilized by Starbucks because the ratio of volume of suggestion posts by consumers and the volume of ideas adopted by Starbucks is remarkably high. Another reason of participation of the consumers is the social connection; it is supported by the higher volume of posts observed. The dynamics of business are changing. Earlier, decisions regarding products and services to be launched were taken solely by the organization. These were then expanded to distributors and suppliers, who apart from their pre-determined roles, also started to get involved in new product development strategies in terms of giving ideas for new products to the organization. This was the result of the greater proximity of distributors and suppliers to customers and their eventual ability to comprehend the consumer needs and requirements. This consumer-supplier interaction assumes manifold importance. The suppliers who work collaboratively with the organizations and give consumers a personalized service started to differentiate themselves as experience based service providers and the brand value of the organization was endorsed with this differentiating factor. Eventually, organizations realized the benefits of communicating directly with the customers and with the help of the internet, this became quite easy. For heterogeneous agents working together to achieve complex goals, teamwork has emerged as a dominant coordination paradigm (Yen, Yin, Ioerger, Miller, Xu, & Volz, 2001). So, co-opting the stakeholders’ competence in the strategic decisions of the organization becomes the key factor of success of so called experience based service providers. This has been termed as co-creation strategy. Co-creation is different from user involvement; co-creation of innovation involves generation of knowledge of latent needs. Involving users as co-creators to produces ideas that are more creative, highly valued by customers, and more easily implemented. By allowing users to become idea generators and co-creators of new services (or ideas for new services, improvements to already-existing services), it becomes possible to move beyond the customers’ expressed needs to a comprehension of their latent or unarticulated needs (Kristensson et al., 2003). This has been successfully adopted by Starbucks. Starbucks started in 1971, as a store for coffee, tea and spice in the touristy pikes place market in Seattle. Current presence of Starbucks is in more than seventeen thousand locations over fifty countries. Starbucks started its online community “My Starbucks Idea” five years ago with the idea of engaging people with affinity for the brand in driving its resurrection. Customers log onto My Starbucks Idea to pitch their product/service improvement ideas or new product ideas. They do this by posting on this online community. Once the idea is posted, other customers vote, comment (negative and positive) and give add-ons. These posts are subsequently rated. This online community has a large number of members, which are increasing day by day. This research study was conducted to identify the primary objective of Starbucks for launching this virtual social community. It was deciphered that the focus of Starbucks was on increasing consumers’ reliability towards the brand and utilizing consumers for the company’s co-creation endeavours. The second reason was to enhance the emotional connectivity of the consumers with the brand. Voting on the other’s idea.